This time around we had a very casual programmers meeting at Roodkapje where the IHS students–who have been studying ZoHo for a week now–presented their final ideas to the audience. There were a wide variety of ideas with all 8 groups. 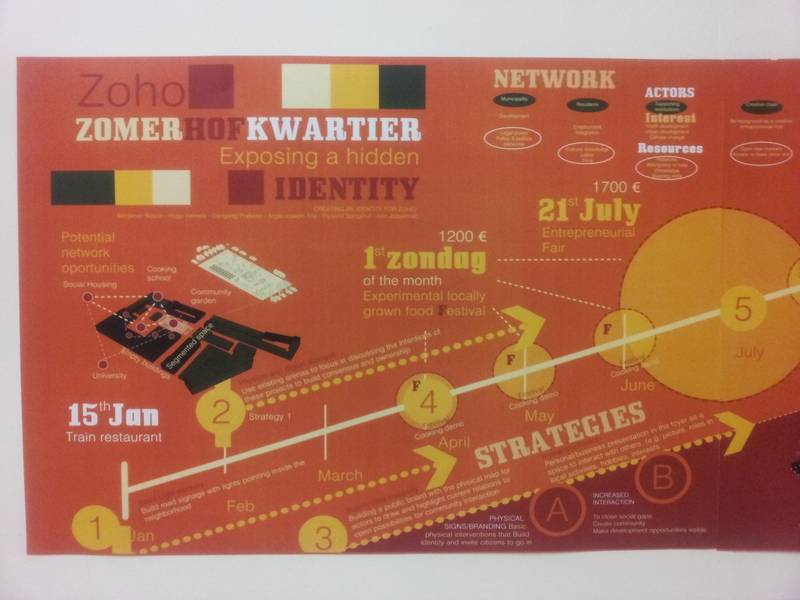 One group presented the idea of ZoHo becoming the epicenter for the best international student accommodation. Another idea for monthly sustainability events. 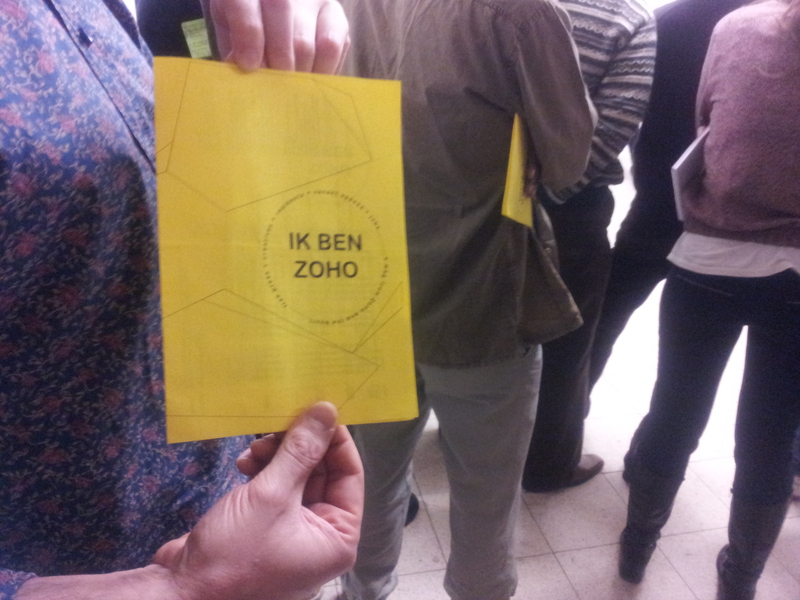 And yet another for a monthly ZoHo magazine (called “Ik ben ZoHo”). Afterwards we had a lively discussion about the “needs” and users of ZoHo. The difference between those who have been here for a while and those who are coming in. The students told us about their experiences with the long-standing locals (residents and businesses); most of them said that ZoHo is great and doesn’t need to change. But still–there is a lot of vacancy. If nothing needs to change, then maybe the more central question is: who are the best partners to come to ZoHo? This will be one of the many questions on the agenda for the next meeting. Route du Nord, coming to ZoHo!